was born and educated in Greelyville, SC. He graduated from Benedict College in Columbia, South Carolina with a Bachelor of Arts in Secondary Education and Psychology. Also as a part of his training, he has served in the United States Army Reserve for 6 1/2 years. After college, he moved to Milwaukee, WI where he found his career in Corrections. In Corrections, he served the State of Wisconsin for 33 years, and retired with the title of Employment Program Director. He has received many awards from the State of Wisconsin for his outstanding work; namely Certificate of Commendation from the Governor of Wisconsin in 2001; Outstanding Service Award in 2001 from the State Department of Workforce Development; Employee of the month on multiple occasions, Certificate of Commendation for the design and implementation of the “Second Chance Jobfest” for the Department of Corrections, which has enabled hundreds of parolees to find employment. He has served as a member of the Wisconsin Correctional Association, National Alliance of Business, National Association of Workforce Development, Wisconsin Employment & Training Association (WETA), Milwaukee, Umbrella Comittee, National Institute of Corrections and Chairperson of the “Second Chance Jobfest” which served an average of 2, 000 people annually. Superintendent Robinson is an ordained Pastor in the Church of God in Christ, and has attended the C.H. Mason School of Seminary. As an ordained Pastor, he served as the 2nd Administrative Assistant to the late Bishop J.C. Williams, Prelate of Wisconsin 3rd Jurisdiction. He also served as the Superintendent of the New Life District, Chairman of the Ordination Board, and Chairman of the Jurisdiction Security Fund. In conjunction to this, he is also the organizer of the Bishop J.C. Williams School of Ordination. He is a member of the Chaplain Association and the National Pastors Association of America and has also served the Church of God in Christ as an Evangelist on the District, Jurisdictional and National levels. Superintendent Robinson was married to the late Mo. Janet Robinson for 29 years (until her demise), and is currently married to Mo. De’Lonnia Robinson (of 9 years). He has 2 daughters, 1 son (who serves with him in ministry) and 4 grandchildren. 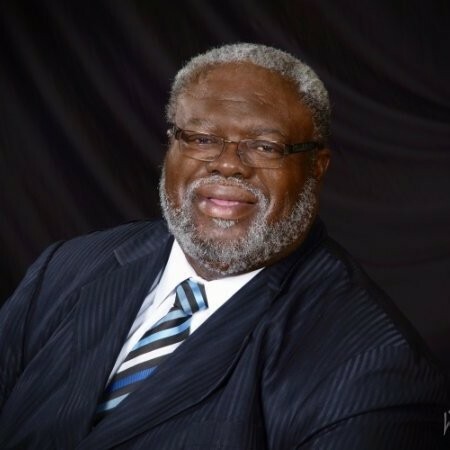 He celebrates 28 years as Founder and Pastor of the Good Samaritan Church of God in Christ and celebrates over 34 years of carrying the Gospel. He loves God, his family, and the church. A true humanitarian, a lover of people, a builder of men and a visionary.